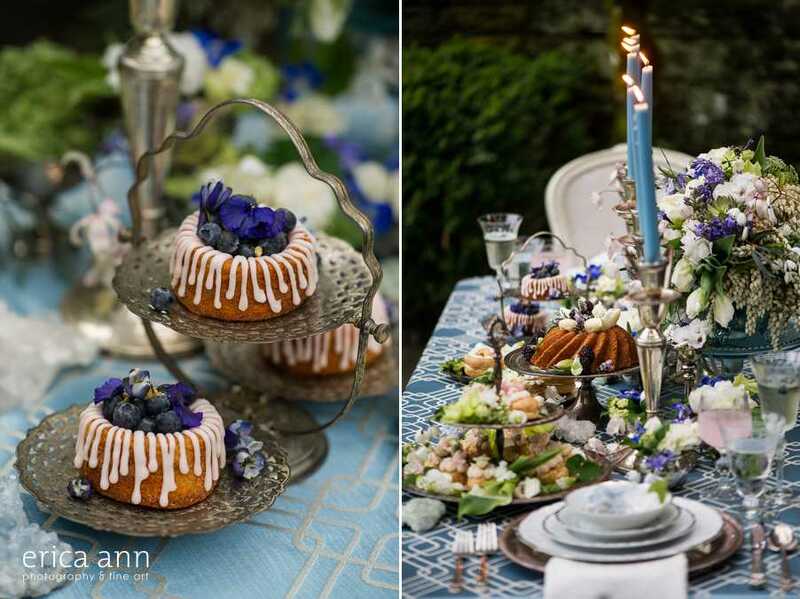 I photographed this fabulous wedding inspiration shoot with some amazingly talented vendors! 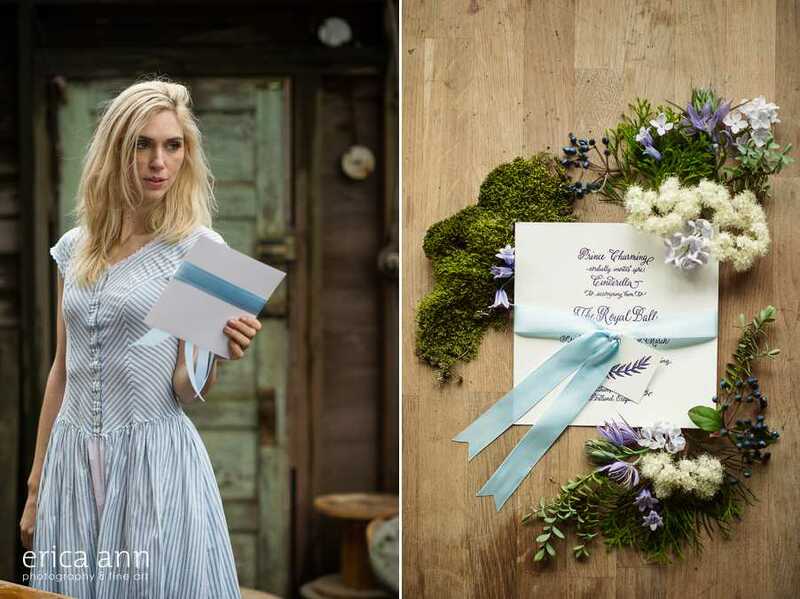 It was all the brainchild of Rose, owner of Rosemary Stafford Floral Design. 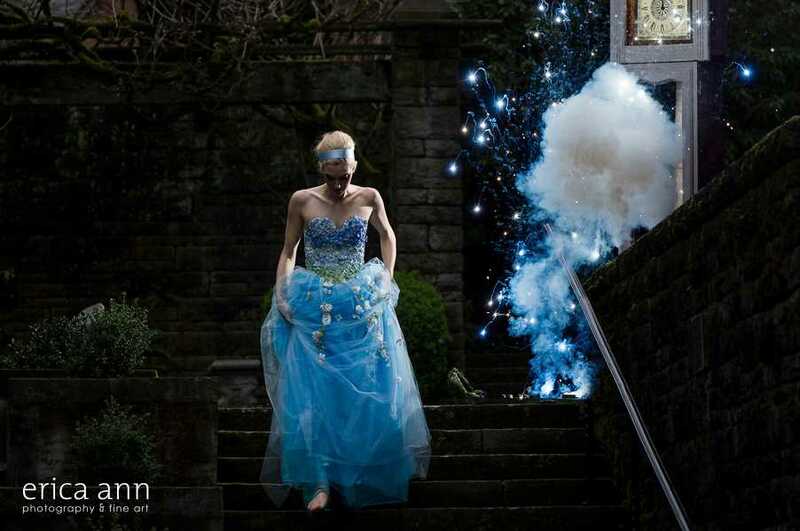 But every single person contributed so much more creativity and magic than we could have imagined! 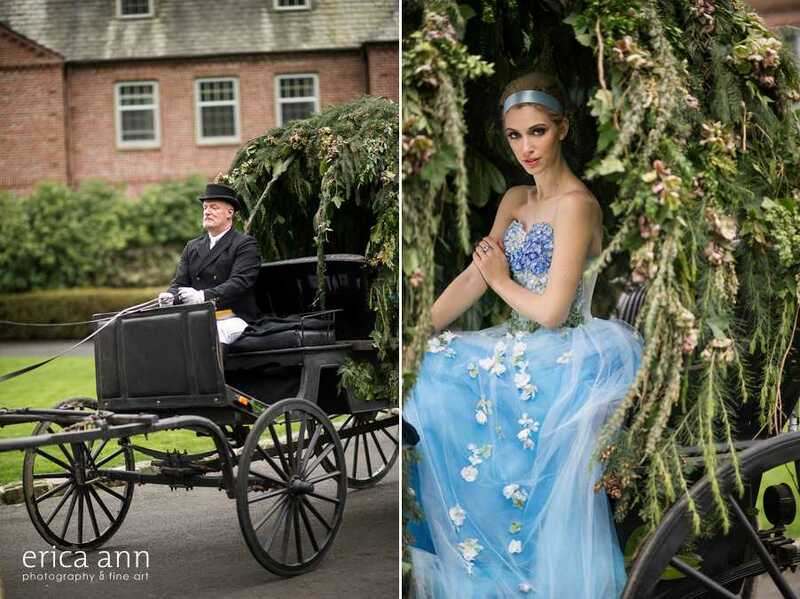 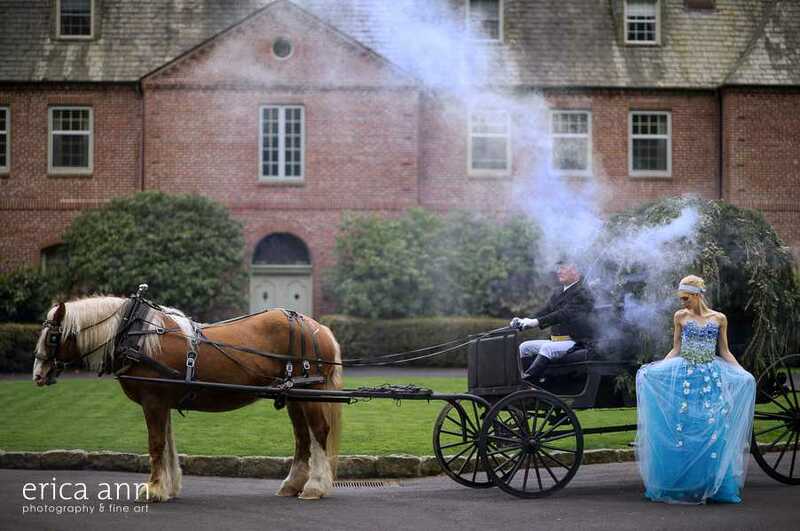 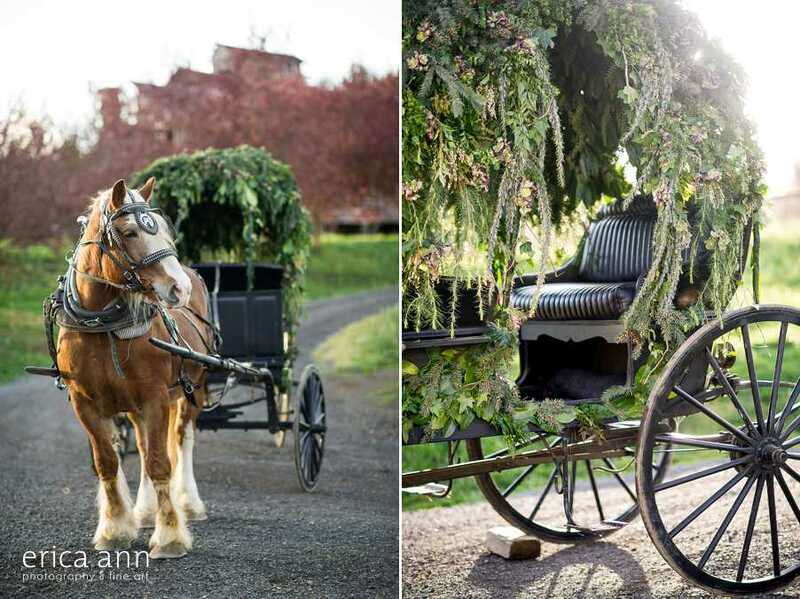 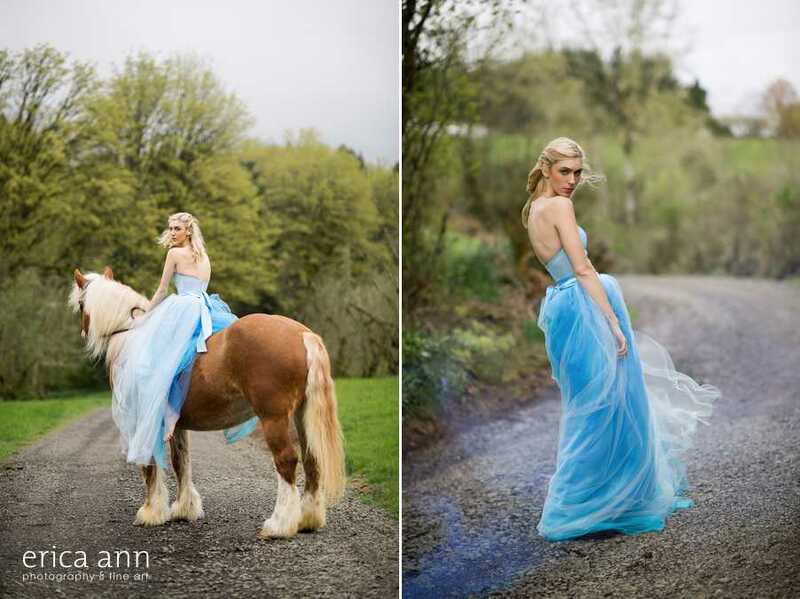 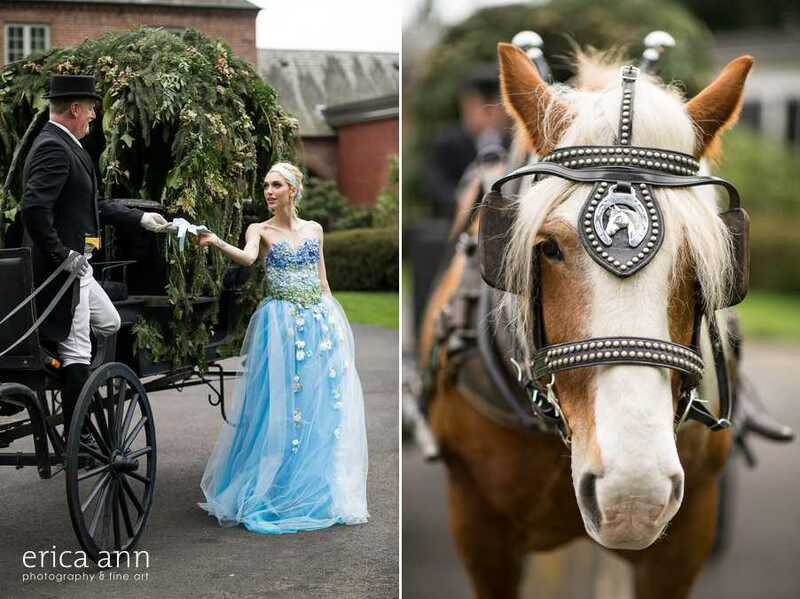 The vintage carriage pulled by Bella, the beautiful Belgian Clydesdale, initially inspired our Cinderella shoot. 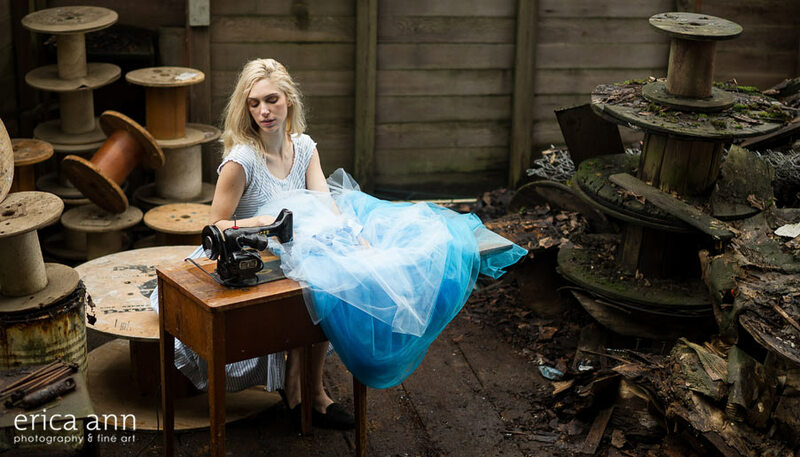 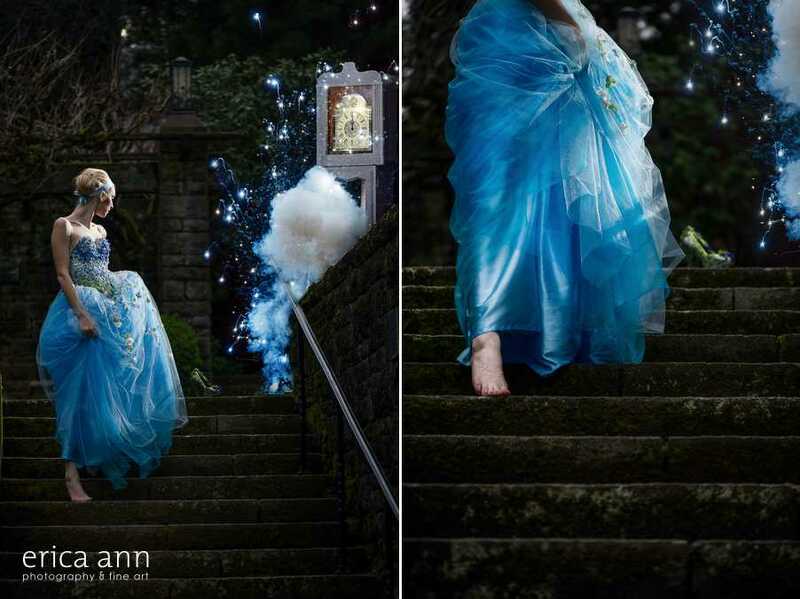 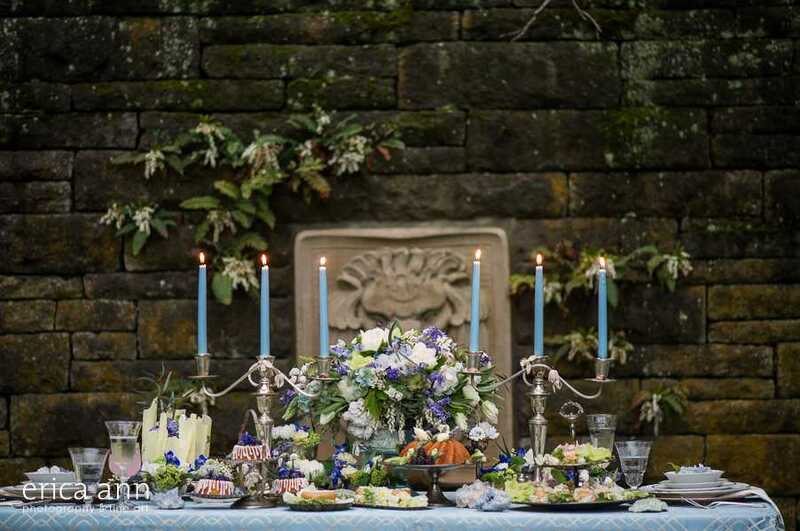 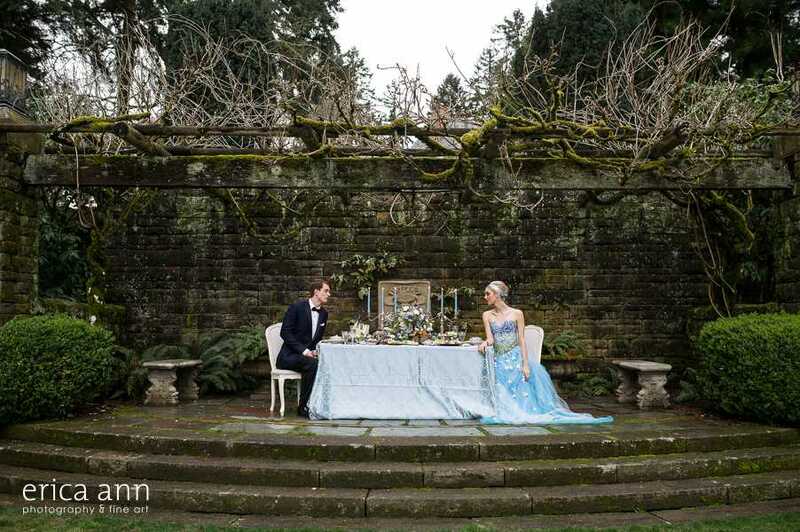 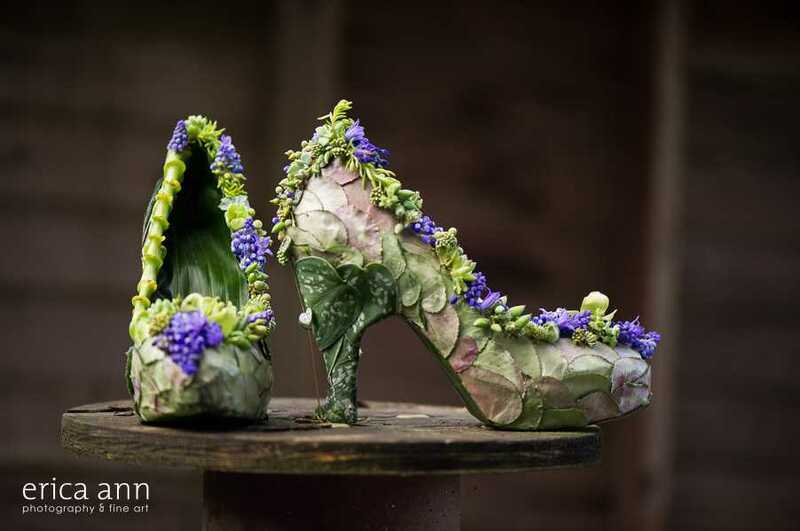 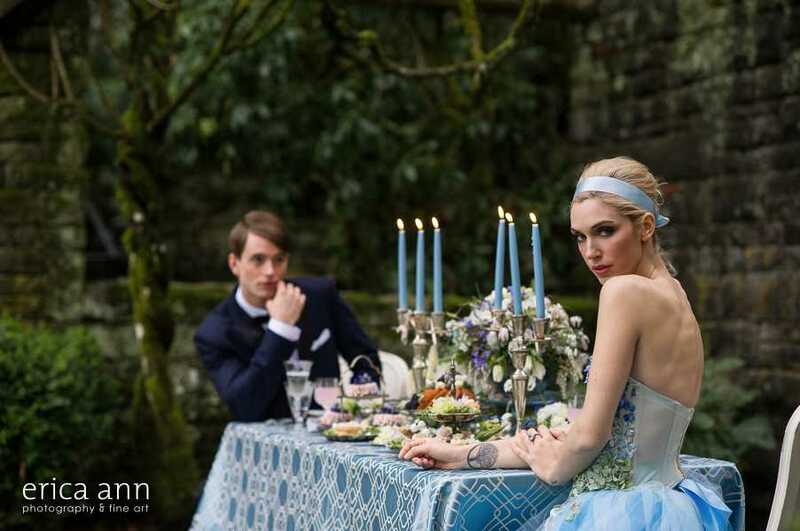 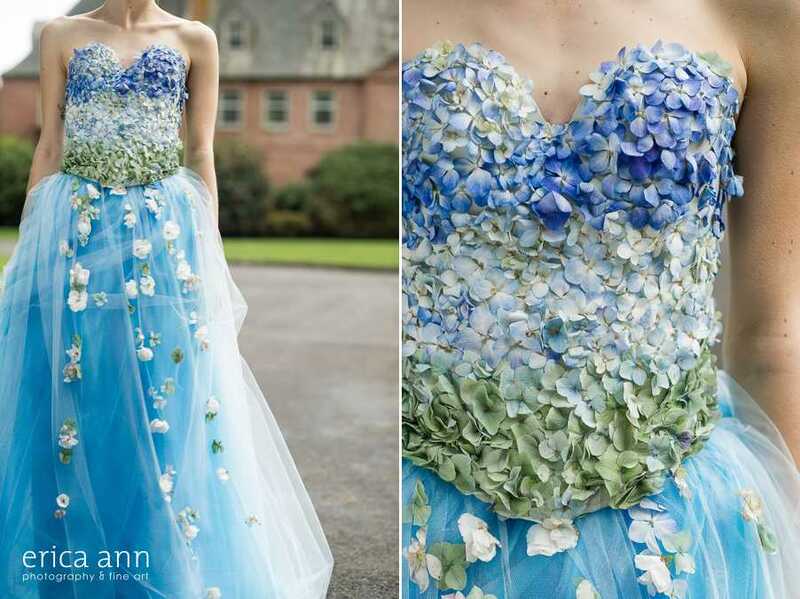 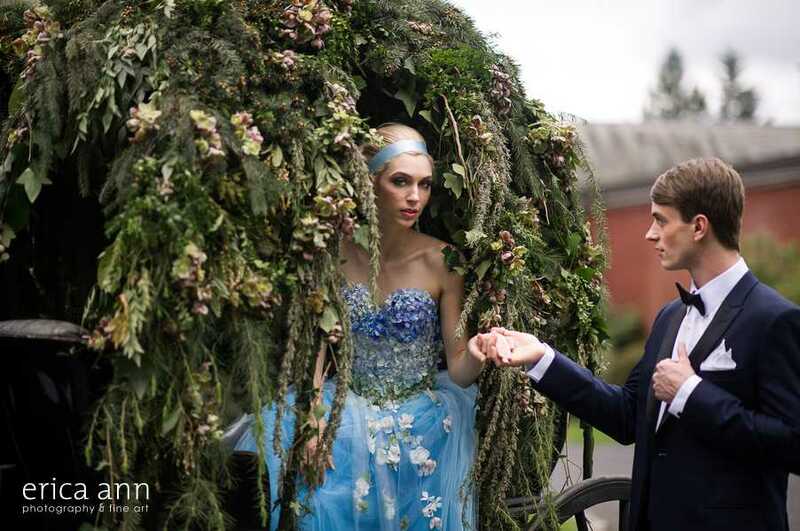 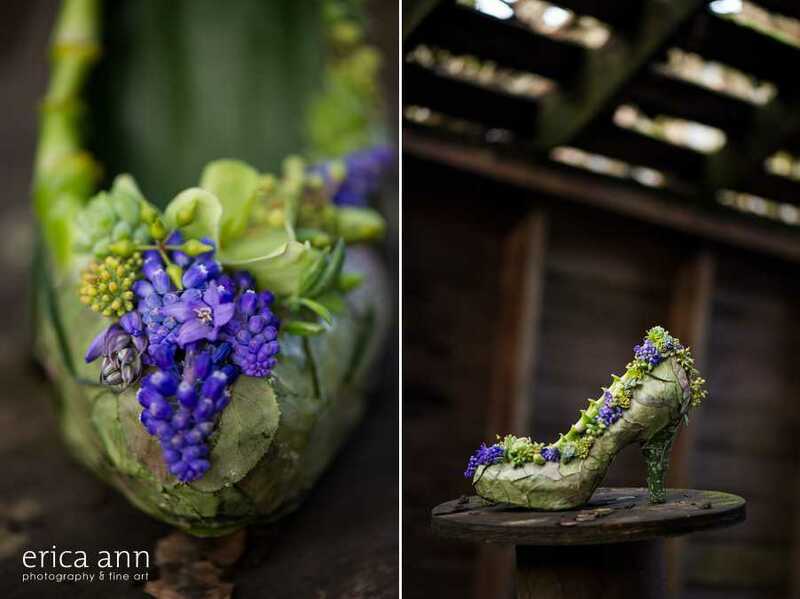 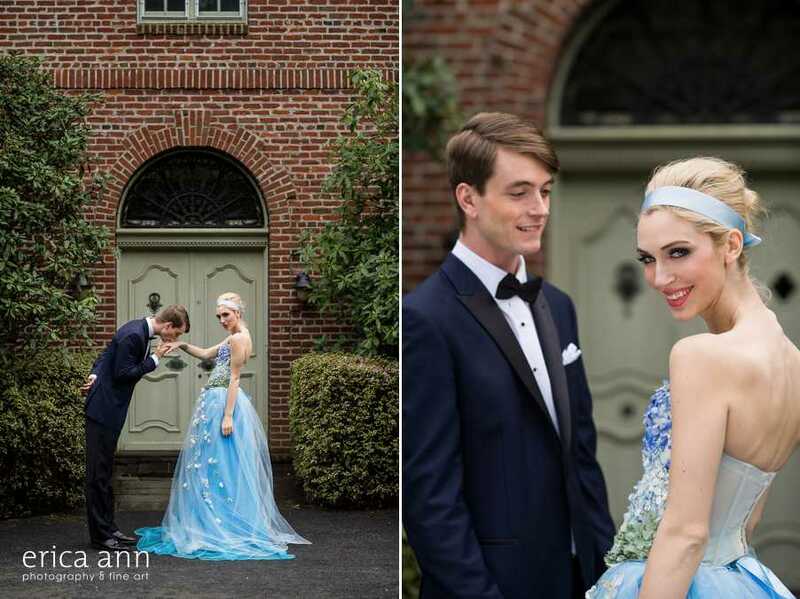 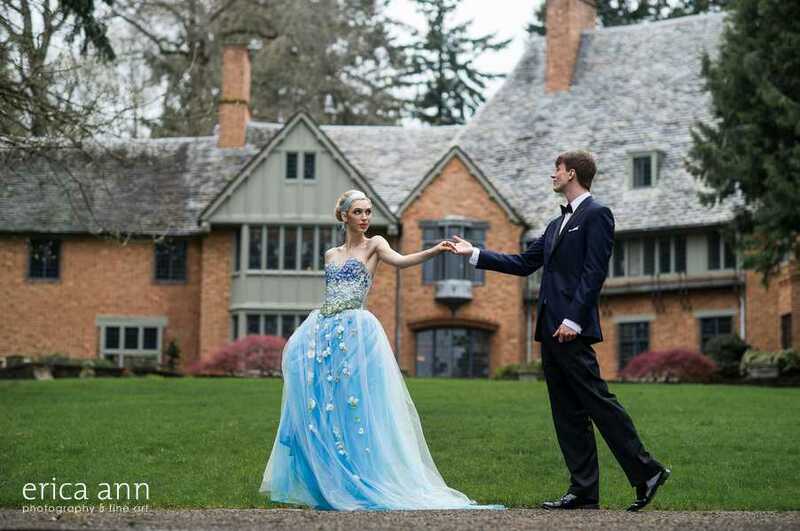 Being in the Pacific Northwest, we put a botanical spin on the classic Cinderella Fairytale. 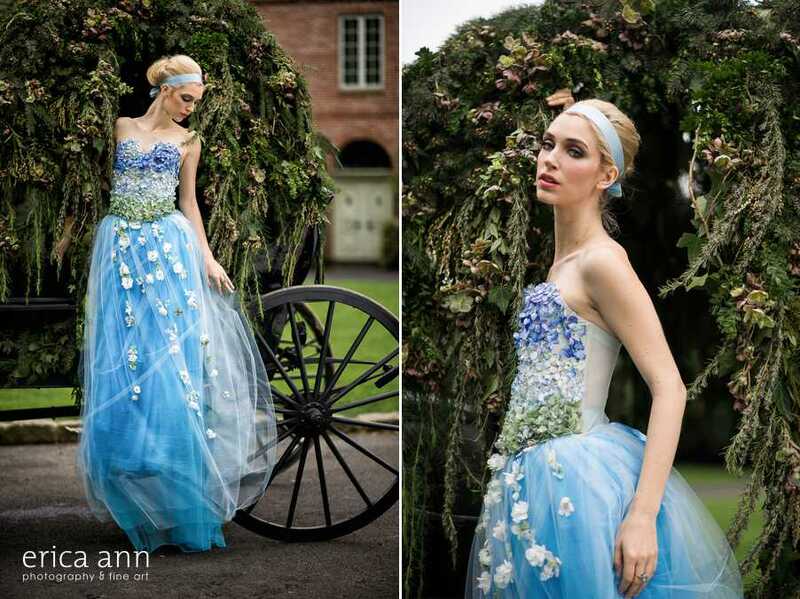 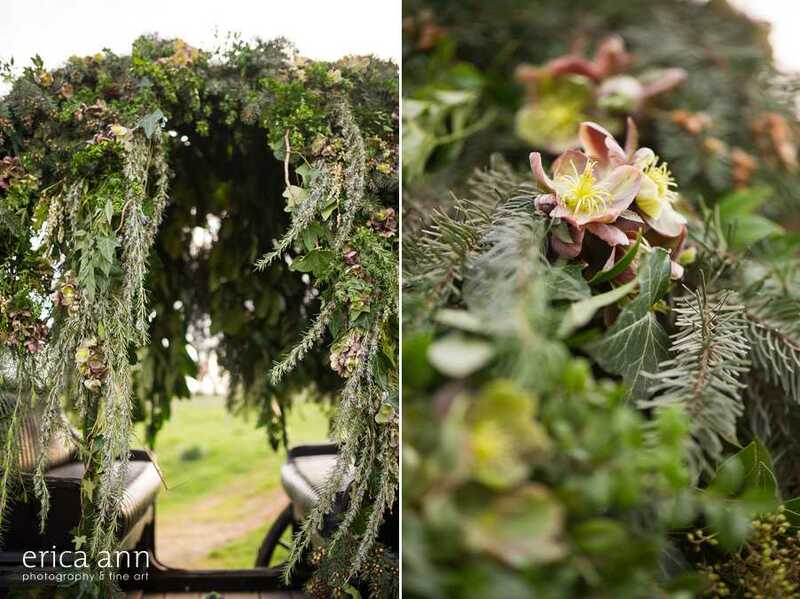 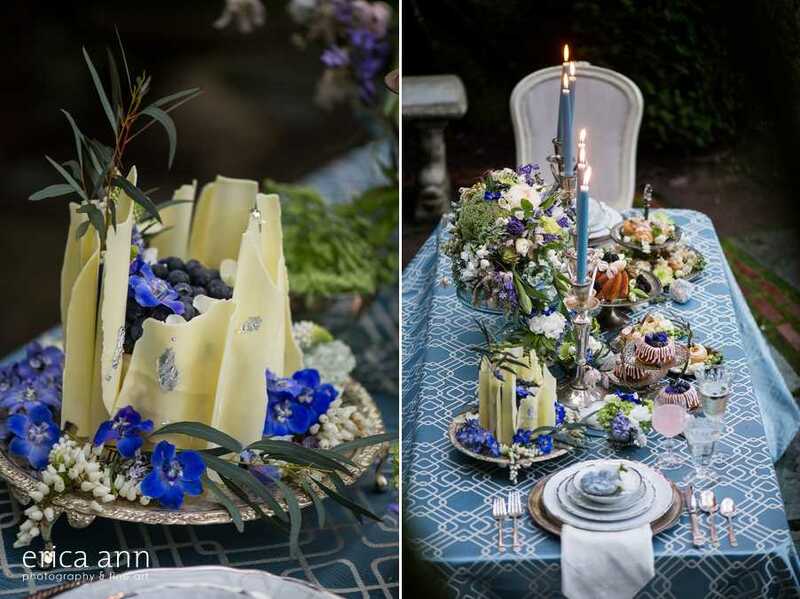 Our story exudes a feeling of old world grace with endless greens and over-the-top botanical embellishments. 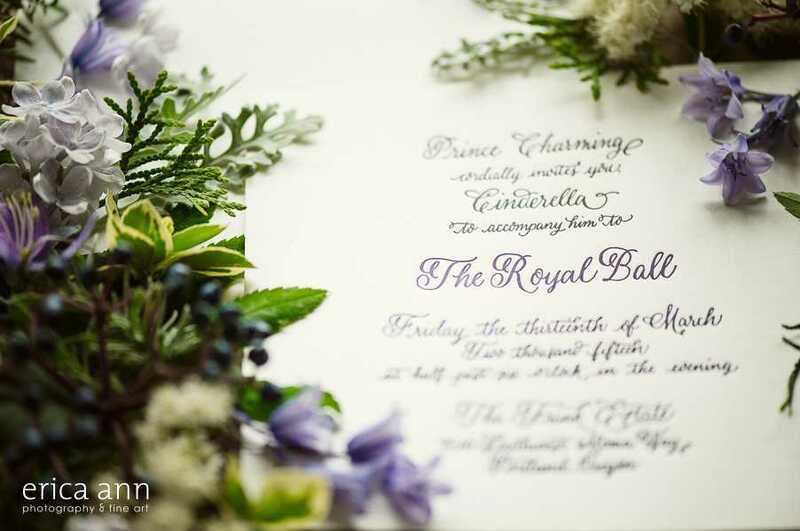 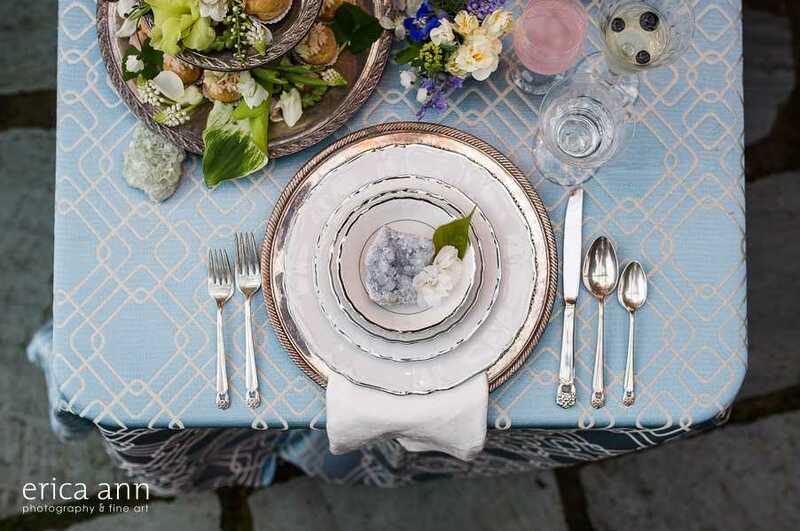 In our design concept we stayed true to the classic Cinderella periwinkle blue while adding strong accents of green to show the lush beauty so prevalent in the Pacific Northwest. 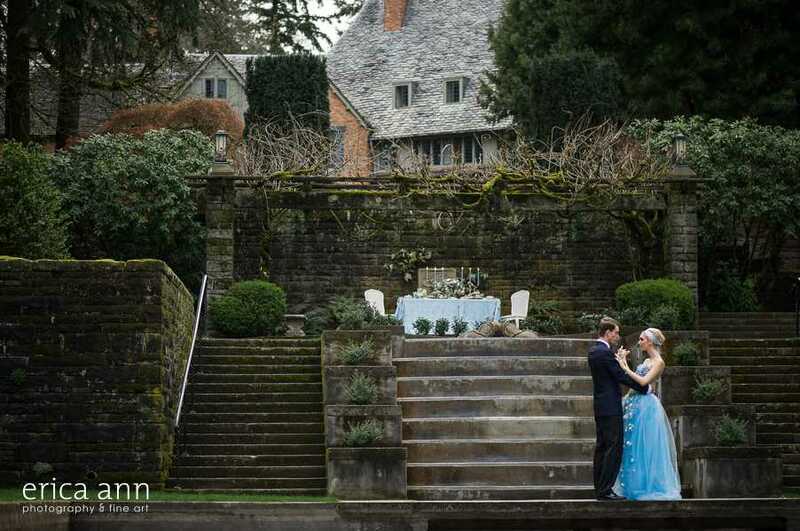 We were inspired by the contrasting settings of the Farm and the Estate Gardens of the historic Lewis and Clark College. 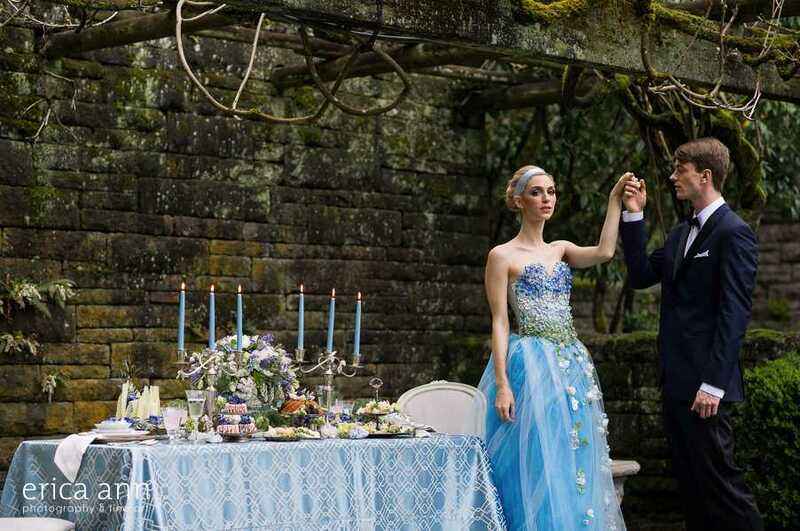 These two settings symbolize the dramatic transformation Cinderella experiences in her story. 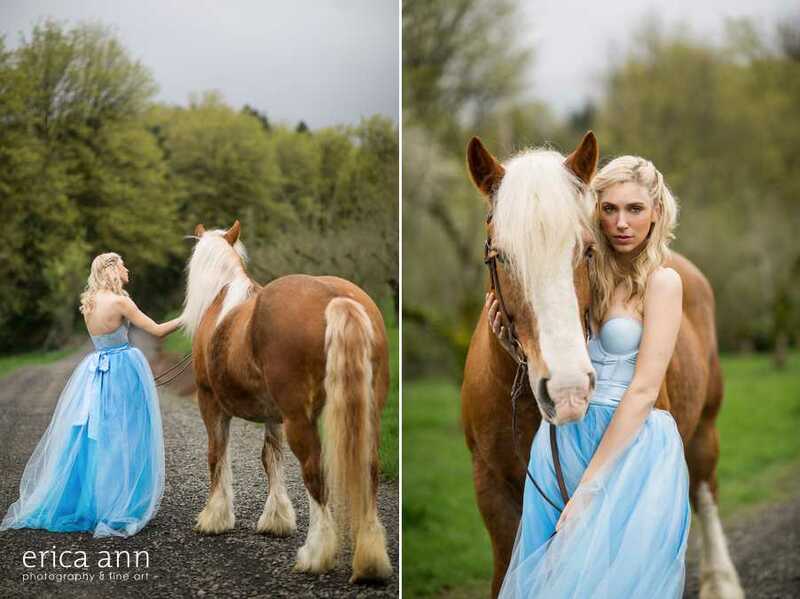 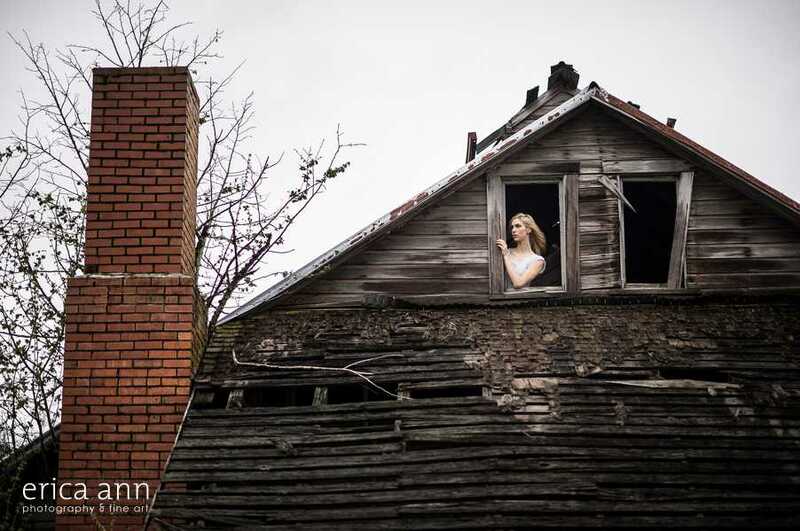 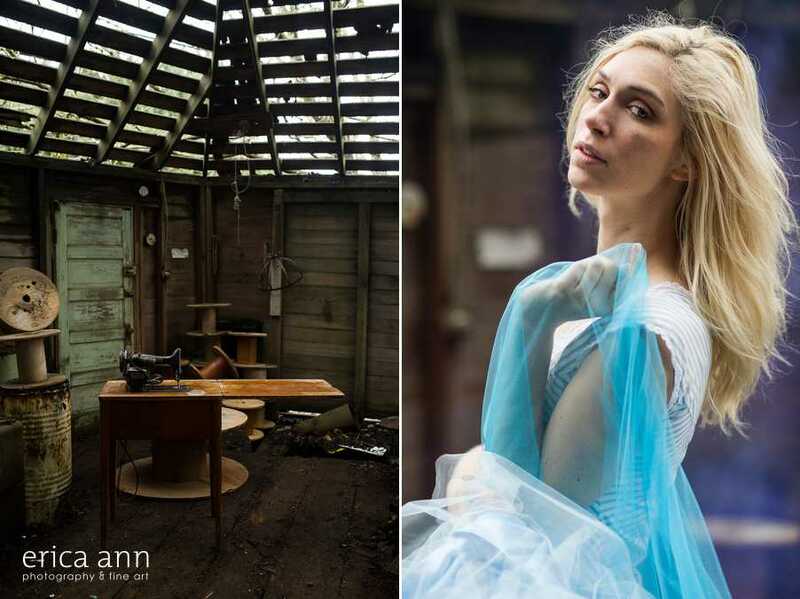 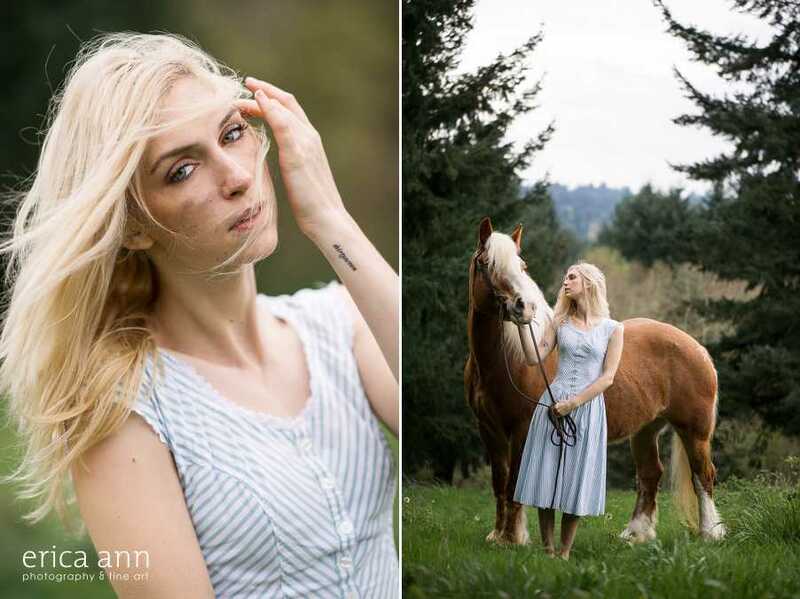 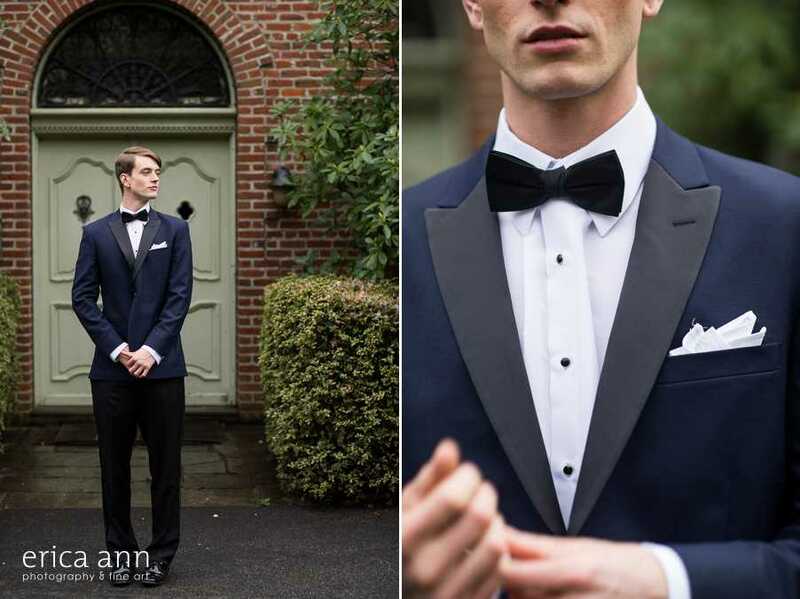 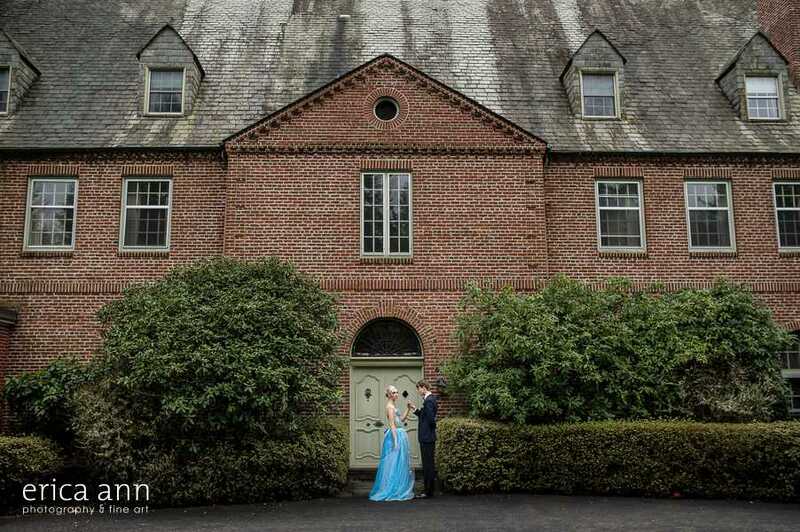 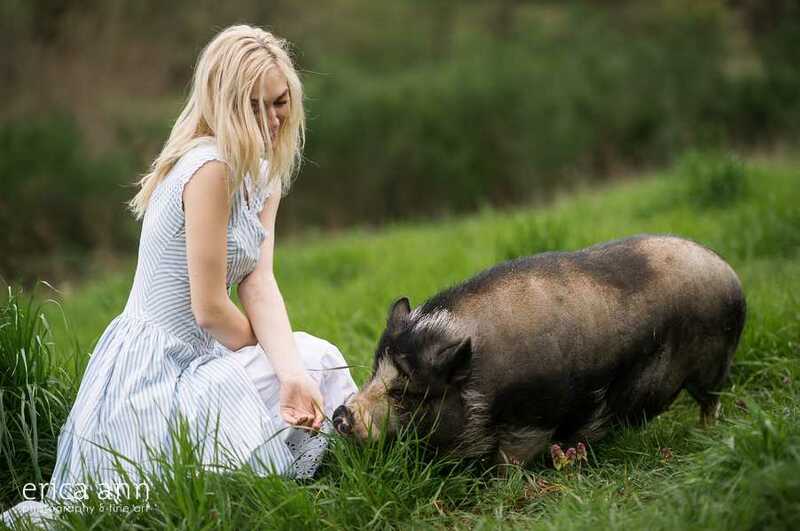 This shoot was also recently featured on Oregon Bride Magazine!